It’s typical for a lot of our senior parents to not listen to our advice. Yes, you’re not the only one going through this challenge. They’ll refuse to follow their doctor-approved diets, insist on eating sweets, and leave their dirty laundry on the floor. It doesn’t matter what you say, they’re going to continue doing things the way they want. So, what should you do about this? Perhaps, you’re going about things the wrong way. Ask yourself: is lecturing really something a grown adult would respond well to? Instead of starting things off on the wrong note and reprimanding your elderly relative, begin by opening up a conversation. Working with providers of Home Care Services in Brooklyn, New York can also go a long way to helping eliminate the unhealthy habits of our seniors. Consider F.A.B LLC Homecare Services as your partner in getting your loved ones to adopt a healthier lifestyle. Habits have been ingrained into us, and they’ve become part of our daily routines. You cannot just change reflexive behavior at a snap of a finger. If words are your only plan of approach, then you may as well give up now. The fact of the matter is that simply ordering one to make changes in their life, regardless of how good these changes are, is not going to work. 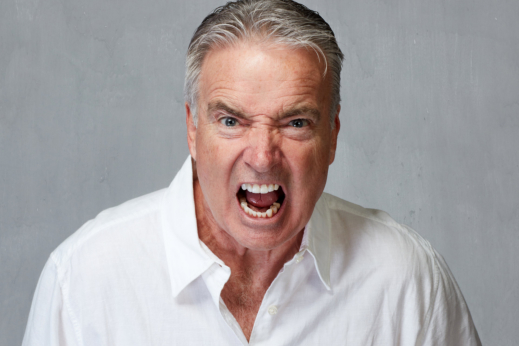 Anger and irritation is a common reaction to a loved one’s bad habit. Yes, it’s true that our feelings come from a good place, but that’s not exactly how it appears when we bombard our loved ones with lectures and reprimands. A gentle approach is so much more effective. Elderly individuals are extremely sensitive, so you must always get on their good side and be careful not to hurt their feelings. Talk to them in a voice that shows you truly care and just want to see them get better. Getting a senior to agree to change is only the first step; after that, you’ll have to find out how to replace unwanted behavior. If your beloved finally decided to quit alcohol, for instance, you can suggest a meaningful activity to fill the void. You can choose from a slew of options, including exercise, walking, or other recreational activities. Got any other tips or insights on how we can get our loved ones to quit their bad or unhealthy habits? You’re more than welcome to discuss them on the comment section below. F.A.B LLC Homecare Services is a distinguished provider of home care services to the five boroughs and Nassau County. Our caregivers are more than capable of guiding the seniors in your family towards a healthier and more meaningful life. This entry was posted in Senior Care and tagged Caregivers, Elderly, Senior's Bad Habits. Bookmark the permalink.